The Littoral Combat Ship: A Brewster Buffalo for the Twenty-First Century? Sometimes, in the development of a weapons system, the hopes and dreams of the designers meets the harsh reality of conflict. Today, the Littoral Combat Ship (LCS) is a perfect example of a platform that may illustrate this phenomenon. To the author, this makes the LCS the modern day equivalent of the F2A Brewster Buffalo. Designed by the aeronautical division of Brewster & Company, the Buffalo, her designers and the Navy believed the Buffalo to be the modern fighter that would carry the Navy into the monoplane age. For a few years it was. Beginning in the mid 1930s, the Buffalo was the hottest plane seen on the deck of U.S. carriers at sea. 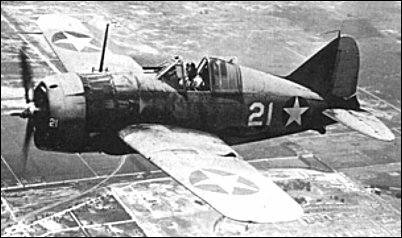 However, with the coming of World War II, especially when matched with frontline Japanese fighters, the Buffalo showed its true colors. It was wholly inadequate for a high-tech combat environment. Over seventy years later, it is quite possible that the LCS could meet the same fate. The fact that that the LCS has problems is nothing new to readers that follow the comings and goings of maritime warfare. [i] However, the time has come for the Navy to really consider whether this platform is truly deployable against a modern Blue Water enemy. As both internal and external studies have shown, the LCS is deficient in the three major areas of modern naval combat. First and foremost, it is under-gunned for combat in a true blue water environment thanks to not having a Vertical Launch System that would provide the LCS with a long-range Air-to Air and Air-to Surface punch. It might even be under-gunned for combat in most littoral situations due to the lack of torpedo tubes and a heavy caliber gun for surface action in close against anything but modern day pirates. Secondly, the LCS lacks an adequate sensor suite which makes it blind against air attack and approaching surface fire until its too late. Thirdly, it is thin skinned. This combination led one leading maritime expert to comment that the class was not a true blue water combat ship but a “3000 ton speedboat chaser with the endurance of a Swedish corvette, the weapon payload of a German logistics ship, and the cargo hold of a small North Korean arms smuggler.”[ii] Beyond all the technical issues, the ship is also short of personnel. This could be a problem in a heavy combat situation because the ship may become combat ineffective if it suffers a critical damage control or mass casualty event. With all this in mind, what is the way forward for the LCS? For this author, it is time for the U.S. Navy to consider placing the LCS in an environment that could see them succeed. This means forming the LCSs into squadrons that would perform gunboat diplomacy and augment fleet activities when it was deemed necessary. This arrangement would see the LCS stationed in areas like the Mediterranean, the Horn of Africa, and the south Pacific around the Philippines. In this capacity, the ships could show the flag, provide an anti-piracy capability, operate with allied nations, and provide in theatre intelligence to larger fleet units. Moreover, as an extension of this, the LCS would be a perfect platform for the deployment and support of Naval Special Warfare in these and other areas of operation. Anything more than this and the Navy is opening the LCS up for failure. Just like the Brewster Buffalo, this could spell disaster if and when the next war at sea comes. Defense Industry Daily, “LCS: The USA’s Littoral Combat Ships” http://www.defenseindustrydaily.com/the-usas-new-littoral-combat-ships-updated-01343/#LCS:Controversies&Cautions (accessed 29 August 2015). 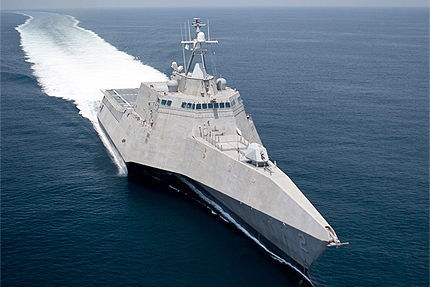 [i] For a recap of the struggles of the LCS see: Defense Industry Daily, “LCS: The USA’s Littoral Combat Ships” http://www.defenseindustrydaily.com/the-usas-new-littoral-combat-ships-updated-01343/#LCS:Controversies&Cautions (accessed 29 August 2015). [ii] This quote is contributable to Raymond Pritchett. It appears in: ibid. It’s well-written. Just keep in mind that the LCS was actually designed to full the roles you describe in your last paragraph. It could also function as a specialized single-mission combatant in the following areas: Undersea Warfare (anti-submarine and mine counter measures) and a specialized type of anti-surface warfare. The original emphasis of the anti-surface warfare role was against FAIC and FMC (fast inshore attack craft and fast missile craft–ships with displacements usually under 500 tons). The PAMS missile, with a 25 pound warhead, was satisfactory for dealing with these threats. That missile was cancelled, and they’re using hellfire (or will soon) now. Hellfire is too short-ranged, and they are going to build a longer-range type. 57mm and 30mm is satisfactory against FAIC. Now I understand they will add heavy-weight anti-ship missile of some sort, probably Norweigan anti-ship missile (check that out). It’s a good ‘sea frame’ for the roles for which it was originally designed. They’re not going to build a frigate b/c the costs-to-do-so make building more burkes more cost-effective. The Spanish aegis frigate (forget the name of it) was about $1 billion. A burke is about $1.7B. The Burke however is far more effective at its role.